It’s a special treat, that’s for sure: the Komische Oper Berlin is ending its Emmerich Kalman cycle of Christmas operettas with Marinka, the 1945 Broadway hit Kalman wrote while in exile in the USA. It’s one of the few shows written by European refugees that had a substantial run in New York: 165 performances to be exact. 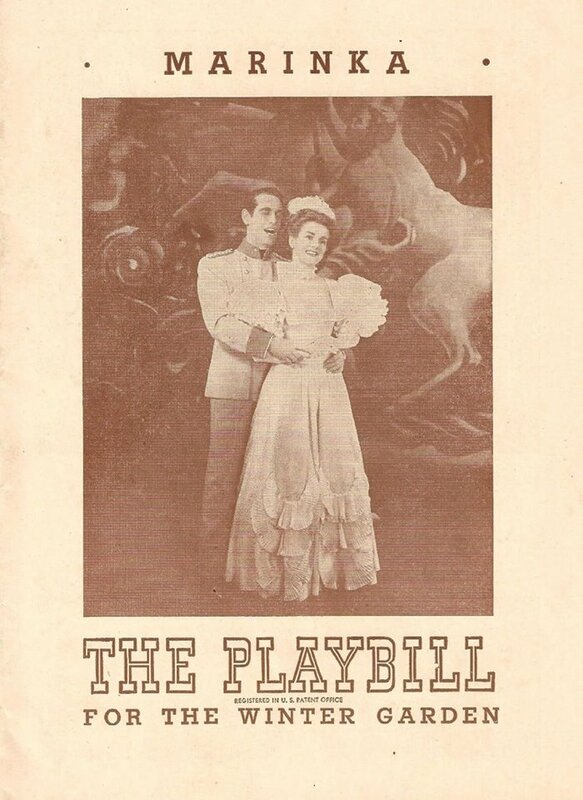 It premiered, as a Shuberts production, at the Winter Garden Theater after try-outs in New Haven, Washington and Boston, with orchestrations by Hans Spialek. There is one later production, in Australia of all places, in 1948 at the Tivoli Theatre, Melbourne. And now, 58 years later: Berlin. The “Romantic Musical” with a book by George Marion Jr. and Karl Farkas is about the double suicide of the 30-year-old Austrian heir apparent, Rudolf, and his lover Mary Vetsera – who was 13 years younger than him – at Mayerling Castle near Vienna in 1889. 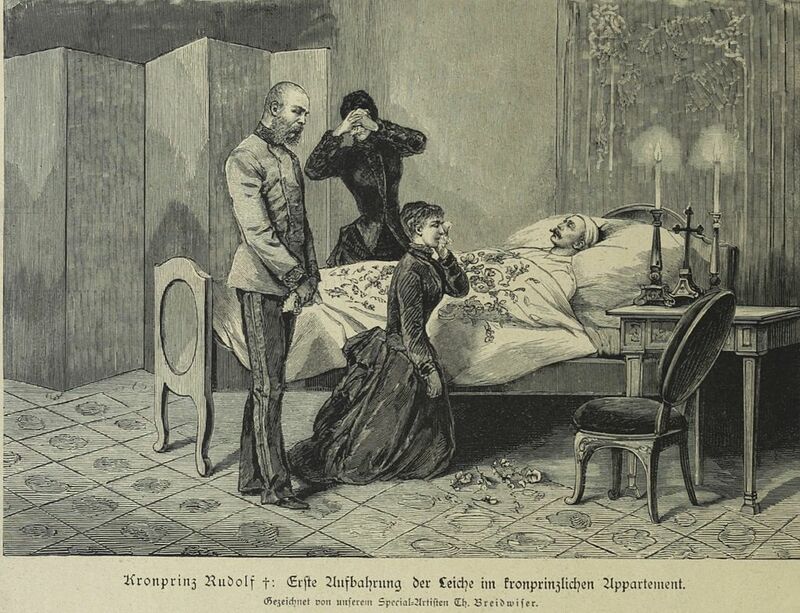 The story is known as the “Tragedy of Mayerling.” It is not only the source of many legends, but has also served as the template for countless books and films. 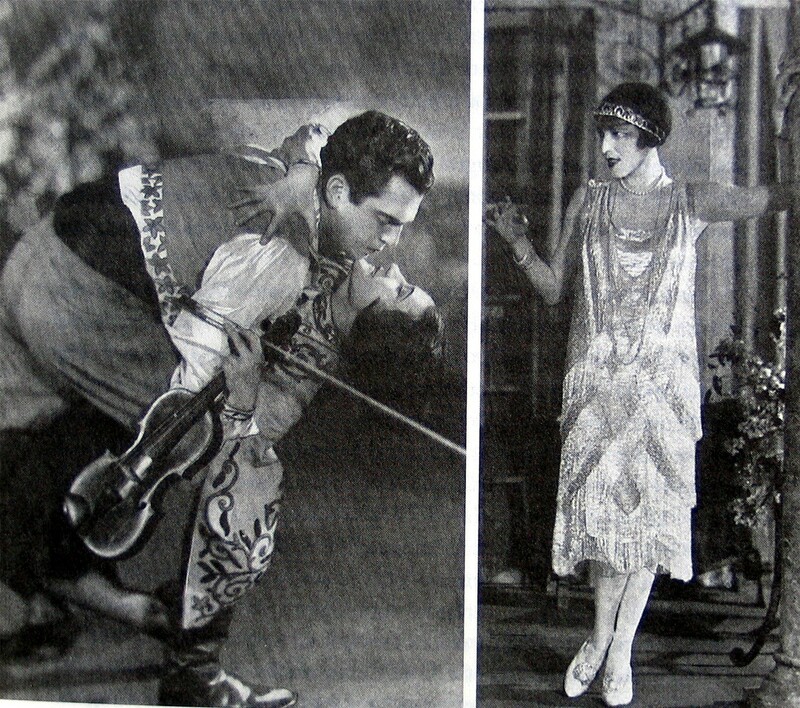 Kalman continues his late-career series of “historical operettas” with Marinka, a path he chose after the turn-around following the “flop” of Herzogin von Chicago (1928). So Marinka can be seen as the continuation of Veilchen vom Montmatre (1930), set in 19th century Paris, Der Teufelsreiter (1932) and Kaiserin Josephine (1936). 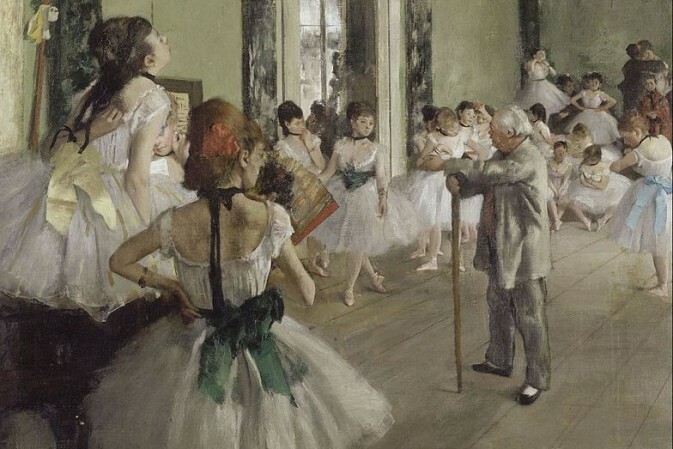 But for Broadway, the authors framed the historic story with a contemporary one, showing how two young Americans watch the Mayerling tragedy as a movie – and re-imagine the deadly ending, with the aid of the only eye witness, coachman Josef Bratfisch (a real historic figure). He tells the young Americans about the fatherly understanding shown by Kaiser Franz Josef, who granted his son Rudolf a life together with his beloved Marinka, and to this end tells a lie of the “Tragedy of Mayerling,” while the real lovers escape to a life in splendid anonymity. The emperor and empress at the deathbed of crown prince Rudolph. The score – which was donated to the Library of Congress in 1945 – contains various gems, among them “Only One Touch of Vienna,” “If I Never Waltz Again,” and “Old Man Danube.” As well as “Sigh By Night.” Many solo titles were recorded and performed by US pop artists of the day and broadcast on the radio. Sadly, these recordings have never been commercially released, though Broadway historian Richard C. Norton collected them and made a private CD for friends. 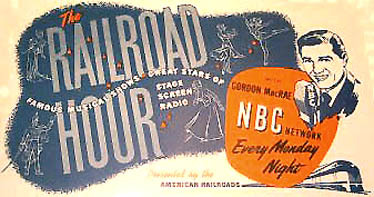 The music is glorious, as heard there, including an abridged version of the show from The Railroad Hour (1951) featuring Gordon MacRae and Gladys Swarthout. “The Railroad Hour”: ad on a desk blotter. Then, in 2006, Michael Miller and the Operetta Foundation in Los Angeles staged a concert performance with two pianos (Adam Aceto and Patrick Johnson). This was recorded and commercially released on CD. 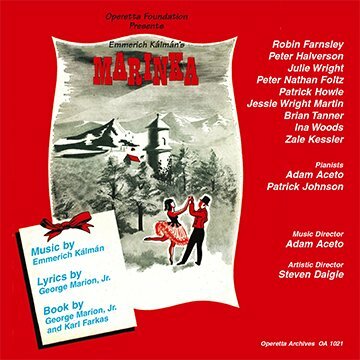 The CD cover for the 2006 recording of “Marinka,” issued by the Operetta Foundation in Los Angeles. 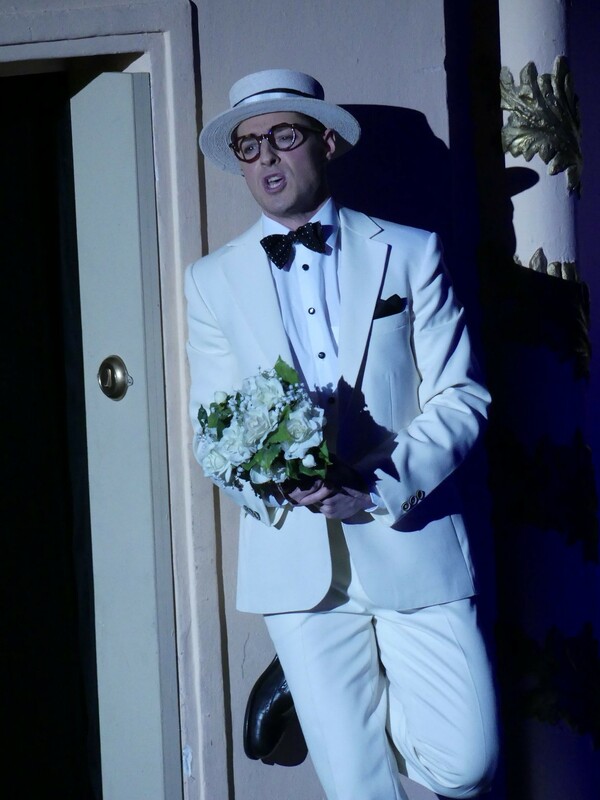 For their concert version and European premiere, the Komische Oper has put conductor Koen Schoots in charge, who made a name for himself in Berlin as conductor of the successful Kiss Me, Kate production starring Dagmar Manzel. The star now will be an import from Vienna: Ruth Brauer-Kvam. Not only did she perform Sally Bowles with success in Austria, but also an operetta program entitled Unschuld vom Lande. The other solists are Johannes Dunz, who was such a dazzling Freddy Eynsford-Hill recently, and Peter Bording as the coachman Bratfish, who gets to sing the irresistible “Cab Song.” It remains to be seen whether “Sigh By Night” will be included, since Katharine Mehrling used it two years ago for another Kalman show. 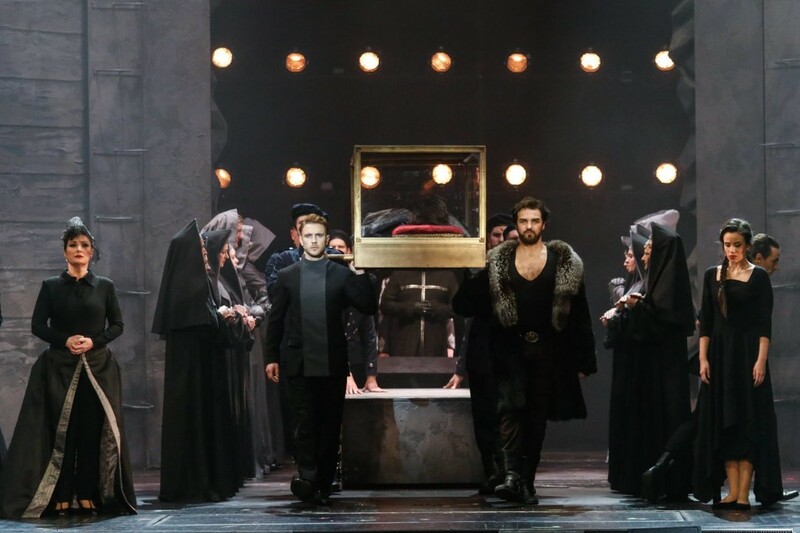 And it also remains to be seen whether the Komische Oper will “dare” to perform the comedy song “Treat a Woman Like a Drum” in 2016, or sacrifice it to political correctness. There will be two performances, on December 18 and 30, in costumes (by Katrin Kath). And hopefully, someone will record this belated European premiere, sung in English, for a radio broadcast, so that Kalman fans – or anyone interested in musical theater in exile – can rediscover and enjoy this late Kalman show. 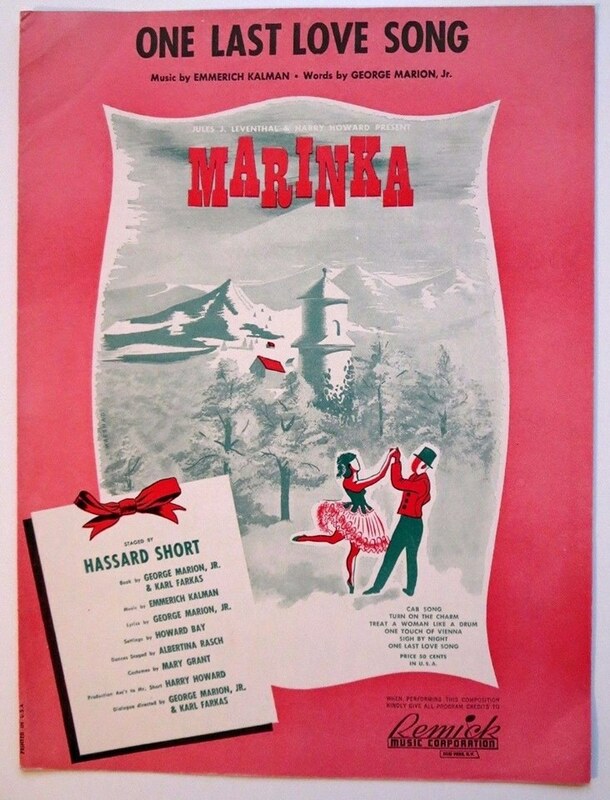 Playbill for “Marinka” from 1945. With Marinka as a finale of the Kalman cycle in Berlin, it’s high time to say thank you to Barrie Kosky for having given theater goers the opportunity to experience a wide variety of Kalman titles over the last few years. The only major title missing in Berlin is Countess Maritza, the 1924 hit Mr. Kosky might have saved to present as an actual repertoire production, since the show was actually a hit at the Metropol Theater once, the current Komische Oper building. For more information, full cast lists and tickets, click here.